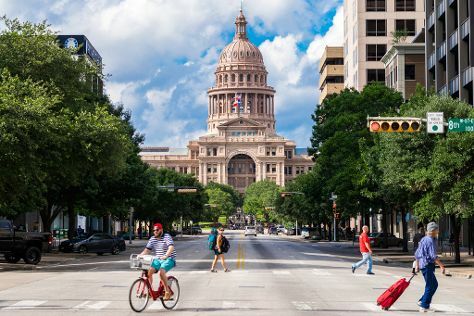 Step out of San Antonio to go to Austin and see Texas State Capitol, which is approximately 1h 35 min away. Pack the 19th (Fri) with family-friendly diversions at SeaWorld San Antonio. There's lots more to do: Head underground at Natural Bridge Caverns, explore the activities along San Antonio River, get a taste of the local shopping with The San Antonio River Walk, and take in the history at Mission San Jose. For reviews, ratings, and other tourist information, use the San Antonio trip itinerary maker . In October, daytime highs in San Antonio are 87°F, while nighttime lows are 64°F. Wrap up your sightseeing on the 20th (Sat) to allow time to travel back home.